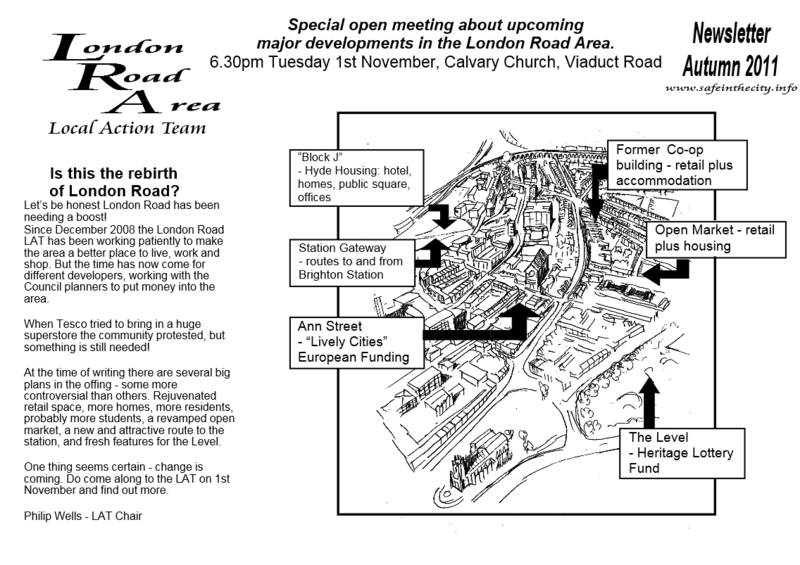 Nearly all the seats were taken for the Open Evening “A celebration of London Road” November 24th 2015. Tea and cake were served to begin the evening as guests arrived. The chair Philip Wells opened with a brief presentation demonstrating the amazing progress since the last Open Evening in November 2011. 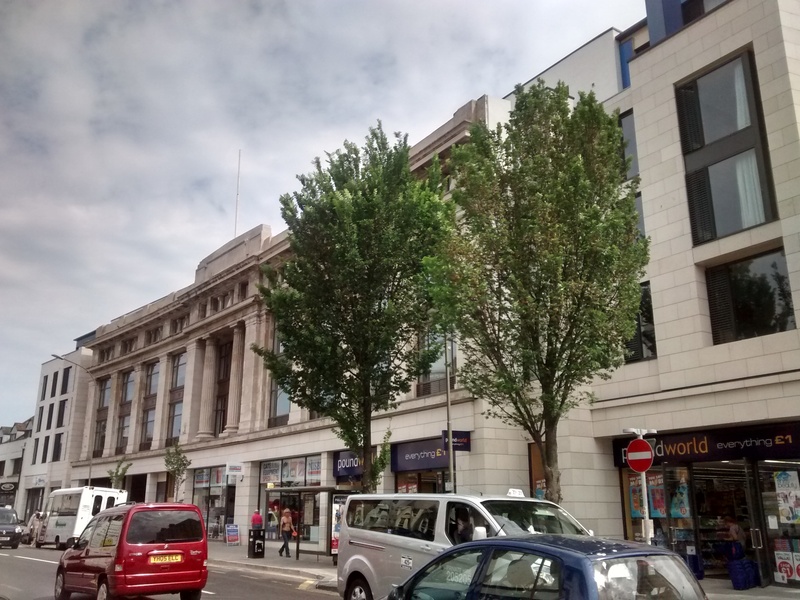 At that time we could only look forward in hope for the prospect of: Abacus = the former Co-op, the Open Market, The Level, Ann Street/Providence Place Garden, the station gateway, Block J up by the station. As we look back from the standpoint of November 2015 these projects are completed. The presentation showed some comparison photos. Usually everyone present is given an opportunity to introduce themselves – but on this occasion introductions were restricted to the following: Cllr Lizzie Deane (on behalf of her colleagues), Garry Collins (Council LAT liaison), Ann Townsend (Visitlondonroad Town Team), Mike Newman (on behalf of Pavilions drug and alcohol service). There were stalls displaying material from University of Sussex, Ditchling Rise Area Residents Association, London Road Station Partnership, Open Market and others. 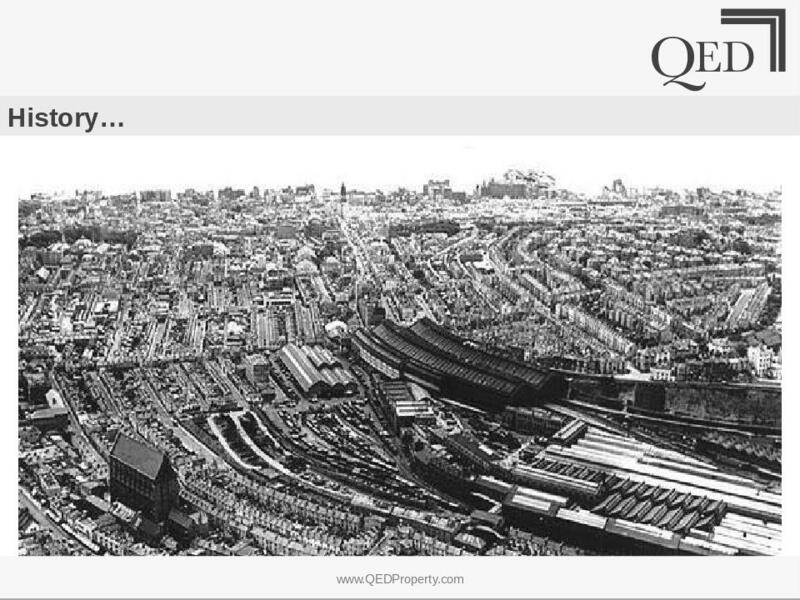 Our main speaker Chris Gilbert (QED property development) told the fascinating story of New England Quarter. He spoke about its seedy status in the 1960s and 1970s – with many trades going on including some random Arthur Daley – style businesses. He took us through the process of planning lines of approach, visual angles, accesses and making it all work financially. 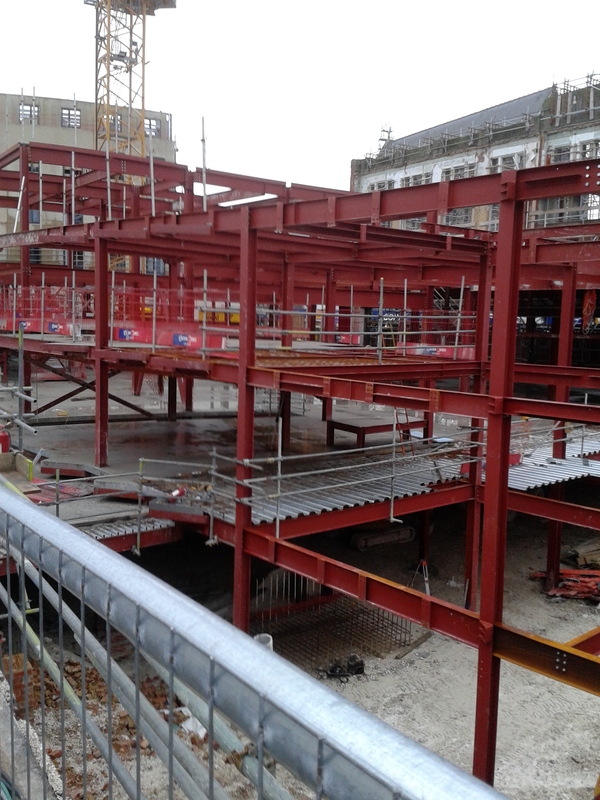 The building process was long and involved – but is finally nearing its planned completion. The steps up to the station were only opened in recent weeks. It was a fascinating evening.